Certainly you have heard about Chatbots, Alexa & Co. Intelligent personal assistants seem to be everywhere. We read about them in newspapers and online magazines. We even see them on TV commercials and hear about them on the radio. Our future with those digital assistants will be very interesting indeed. 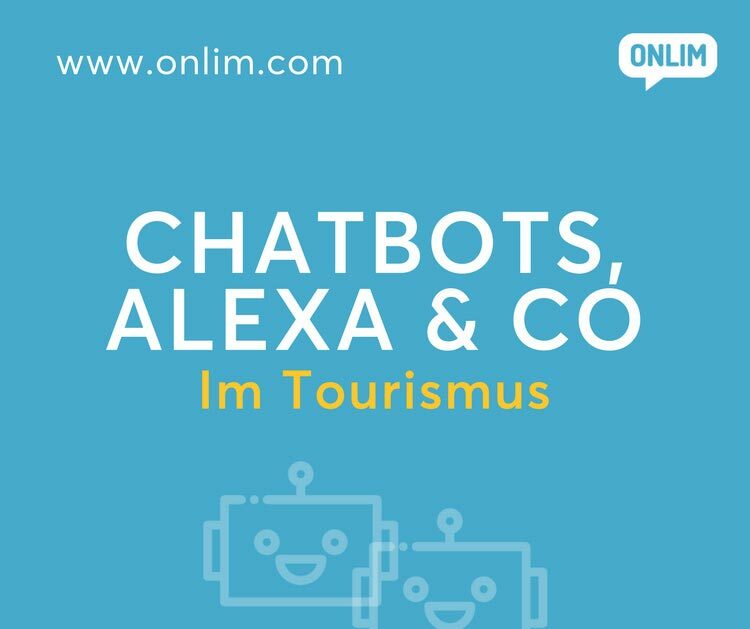 In this article we’d like to look at where are we now with artificial intelligence and digitalisation and which possibilities those developments offer for one specific area, the tourism industry. As a technology provider for several tourism organisations we certainly see a lot of potential for chatbots and voice assistants in this area. Gary Vaynerchuk confirms the importance of voice for future search in his Video. Digital assistants such as Chatbots, Alexa & Co are automated dialogue systems. Guest can interact with them via text or voice. High quality solutions for intelligent personal assistants are based on rulebased systems and artificial intelligence. Those components allow to understand questions and match the right answers to them. Very “intelligent” assistants will learn and get smarter over time. Hotels and tourism regions can use digital assistants for various purposes. For example they can provide information about the region, the hotel, the surroundings and weather conditions to potential guests. The chatbot or intelligent assistant can also announce special offers or events. For more information or booking enquiries, users can easily be redirected to the website of the tourism organisation or the booking site of a hotel. 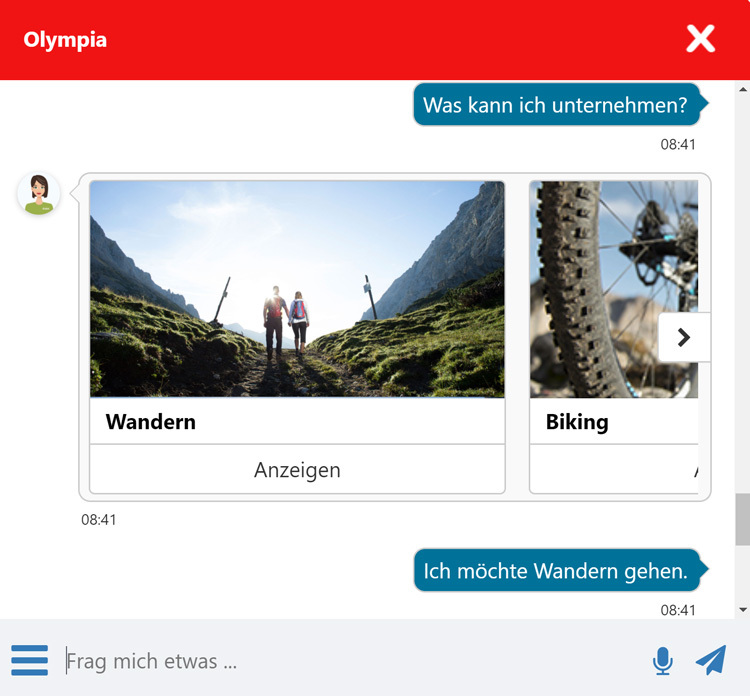 Here’s an example of a chatbot of a tourism association – the bot is called Olympia and is implemented on the website of Olympiaregion Seefeld. All requested information is available 24/7 and instantly. The bot could of course also answer questions regarding rooms, equipment, additional services, available restaurants, opening hours of the spa area and more in a fully automated way. Humans are communicating more and more with machines to request information or handle daily tasks. The search for information is shifting from desktop search to voice-based systems. Smart home systems such as Amazon Alexa already help you find and plan your dream vacation, without crawling through endless lists or websites. At the same time a smart home systems offers essential and convenient help when on spot. As we have seen it with numerous other technological developments before, so will digital assistants get smarter and better over time. Soon enough, we will have self-driving cars bringing us to our holiday destination while we chat with our digital assistant about the most exciting time of the year.